Did you know that most identity theft happens due to lost wallets or credit cards? The Ping* Wallet is a smart device that can tell you when a card falls out, when you forget to put a card back in your wallet, or even when your wallet is stolen. 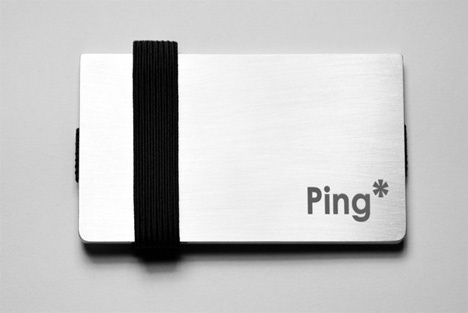 Ping* is a Bluetooth-equipped aluminum case that links to your phone to help keep your information safe. When you take a card out of the wallet and fail to return it after a certain period of time, the wallet emits a sound to alert you. 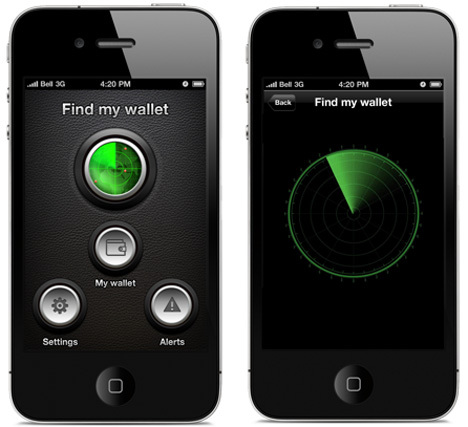 A built-in speaker alerts you if the wallet suddenly loses connection with your phone – whether it’s the phone or the wallet that has been pilfered. If you happen to leave it somewhere, the Ping* can emit a sound to lead to you right to it – as long as you’re within 100 feet of it. This feature would be especially helpful for forgetful people who can never seem to get everything together in the morning. If a card is lost or stolen, the app will even tell you the last place you used it. 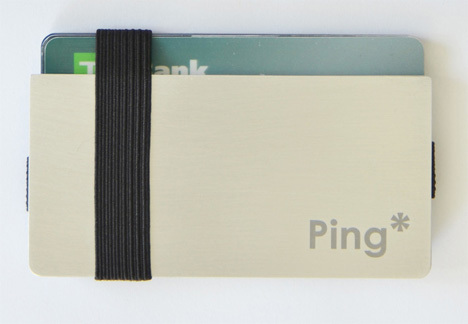 Despite all of its features, the Ping* is a mere 3 millimeters thick, or about the thickness of four stacked credit cards. 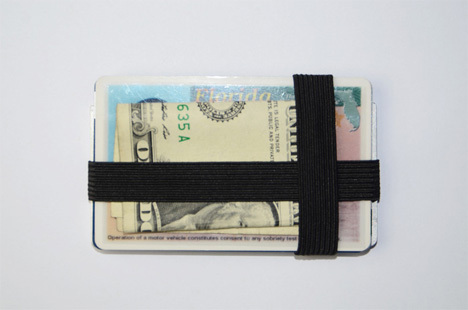 It can hold 10 credit cards and a stack of cash comfortably in its aluminum and elastic embrace. Its electronic “brain” is tiny and flat and contains a battery that lasts for up to two years on a single charge.